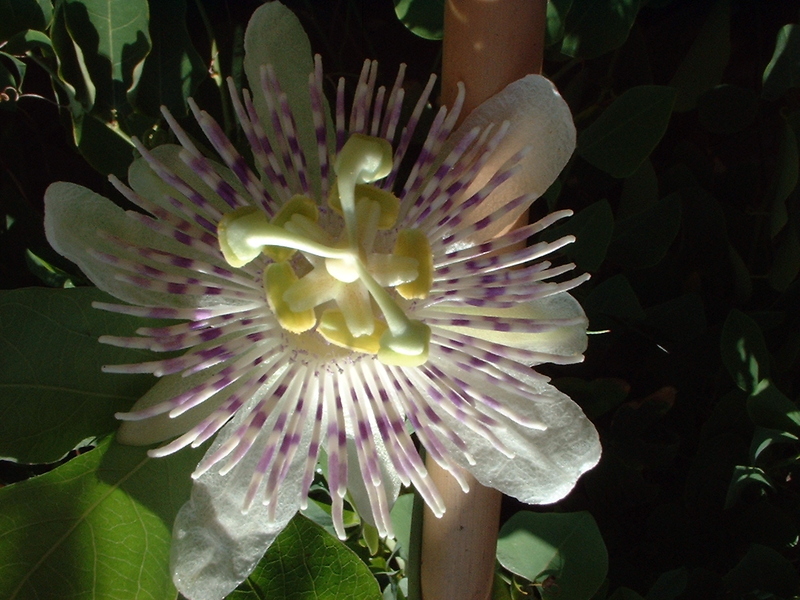 Passiflora tucumanensis was formerly known as P. naviculata. Similar in habit and hardiness to Passiflora incarnata. This picture shows a tetraploid selection by Dr Roland Fischer. Neither this nor the diploid one self. Fruit supposedly tasty. Unusually these plants have no petiole glands.